Obituary for Meriann K. (Kennedy) Saur (Gross) | Ralph F. Scott Funeral Home, Inc.
Meriann K. Saur (Gross), 83, of Wheelersburg, a former Jackson Avenue resident, passed away Thursday, August 23, 2018 at Best Care Nursing Home. She was born April 28, 1935 in Buena Vista, a daughter of the late Alva G. and Geneva V. Moore Kennedy. A homemaker, Meriann graduated from Manchester High School and she had worked as a nurse’s aide while living out of state. She was a former volunteer at SOMC and was of the Baptist faith. Meriann attended the University of Cincinnati from where she received an Associate Degree in Horticulture. 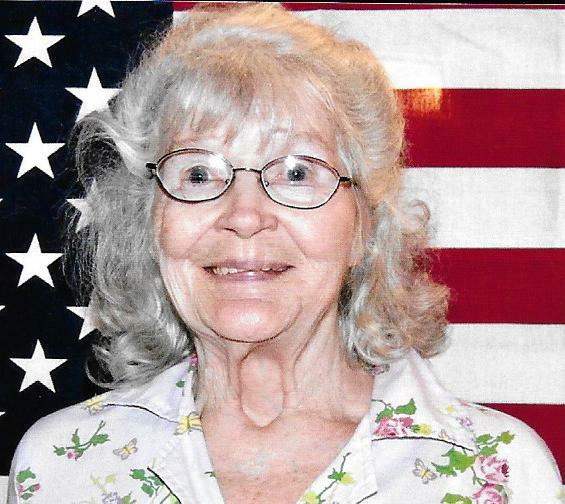 She was also an Air Force veteran of the Korean War and member of the James Dickey Post American Legion. Her husband, Louis Beldon Saur, preceded her in death November 5, 2011. Surviving are her children, Ronald L. Saur of Columbus and Sarah J. (Steven) Hamilton of Greenup, KY; a sister, Josephine Rodgers of Portsmouth; three grandchildren, Christina Saur, Misty (Roger) Bailey and Bridget Sexton; and six great-grandchildren, Alyson, Kristen and Daniel Bailey, Sarah Sexton and Amber and Damien Temares. A daughter, Sharon Rose Saur; and her brother, Clyde Kennedy, also preceded her in death. Funeral services will be held at 2 p.m. Saturday at the Ralph F. Scott Funeral Home in Portsmouth with Pastor Mike Simpson officiating and interment in McKendree Cemetery. The James Dickey Post American Legion Honor Detail will conduct military graveside rites. The family will receive friends at the funeral home from noon until the funeral hour Saturday. The family extends sincere appreciation to the staff on Lighthouse and Rehab at Best Care Nursing Home for the excellent attention Meriann received while in their care. The flag of the US Air Force will fly at the funeral home in honor of Mrs. Saur’s service to our country.